This is for the techno lovers out there. Ultra Music Festival has released its Resistance lineup for Ultra 2018. 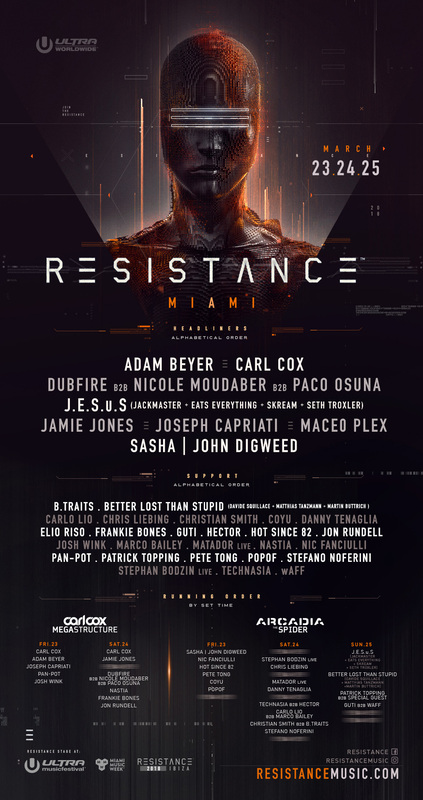 For those who may not know, Resistance is Ultra’s gateway into the darker, underground techno realm. 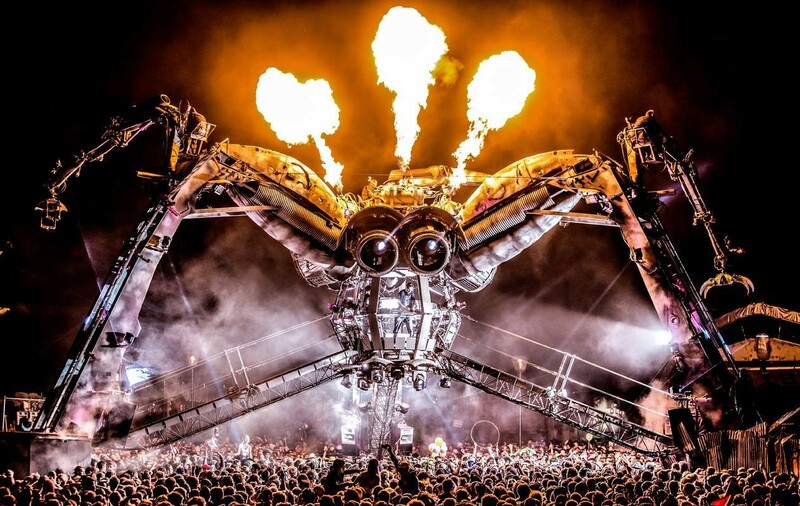 Resistance has two stages: the Carl Cox Megastructure and the famous Arcadia Spider stage, a metallic spider thats shoots lasers, lights, and fire. What more could you want? The lineup for the Carl Cox megastructure will feature Josh Wink, Pan-Pot, Joesph Capraiti. Adam Beyer, Jon Rundell, Frankie Bones, Nastia, Nicole Moudaber b2b Dubfire b2b Pac Osuna, Jamie Jones, a mystery performer, and of course, the man himself, Carl Cox. 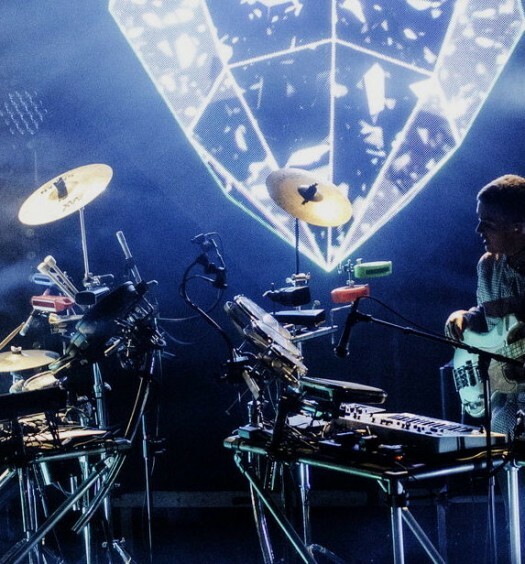 The Arcadia Spider stage will feature Pete Tong, Sasha / Digweed, Guti b2b Waff, Chris Liebing, Coyu, Hot Since 82, J.E.S.u.S, Matador, and many, many more. You can catch all these DJs and more in Miami on March 23, 24, and 25 for a very special 20th anniversary of Ultra Music Festival. Tickets are available via ultramusicfestival.com.